The series start when (Nael) starts writing a story about (Leen) the fictional character in his novel and his head, a character we think is real until the last episode of the series. (Leen), is a photographer who was married to (Raja), a director who has been divorced for two years, yet, still emotionally attached to his ex. (Raja) still loves her, and she couldn’t love anyone but him, but the differences between them made it impossible for them to be together even with the great passion they have. (Nael’s) obsession with (Leen’s) character, and his psychological disturbance made him put his real self in the story; hence (Leen) meets the writer (Wael) who is meant to be (Nael). 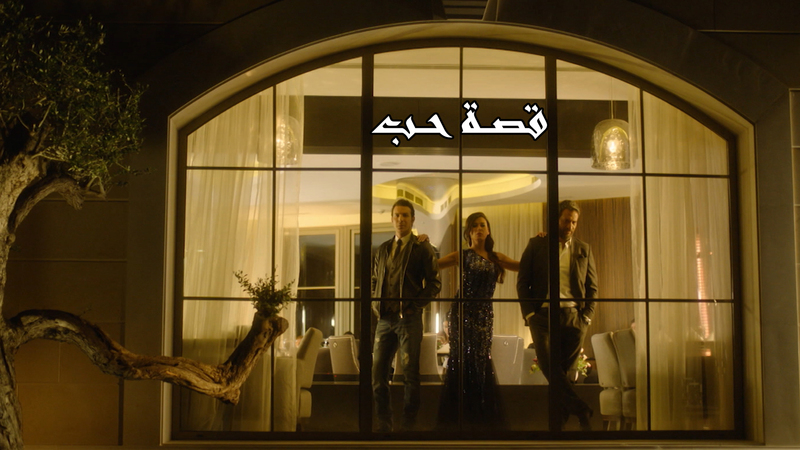 She finds with (Wael) the safety that she missed with (Raja), so their love affair starts, so doe’s conflict. (Leen’s) conflict between two men, (Raja’s) conflict between the past and the present, and (Nael’s) conflict between dreams and reality, truth and fiction. Everythingis well arranged and intentional. The viewer will see nothing but what was happening in (Nael’s) imagination and novel, so he starts to fall in love with his three characters, have sympathy, and live their conflict till the 30th episode, where he realizes the truth, even though it was repeatedly told from the first episode. All characters are fictional and exist in (Nael’s) head and novel, characters he loved, hated and killed when he got bored, except for his friend (Omar) and his therapist (Samar) who is in love with him and trying to medically cure him from his love for a fictional character.